Our Mini-Van was clean, coffee cups filled and we had a full tank of fuel. 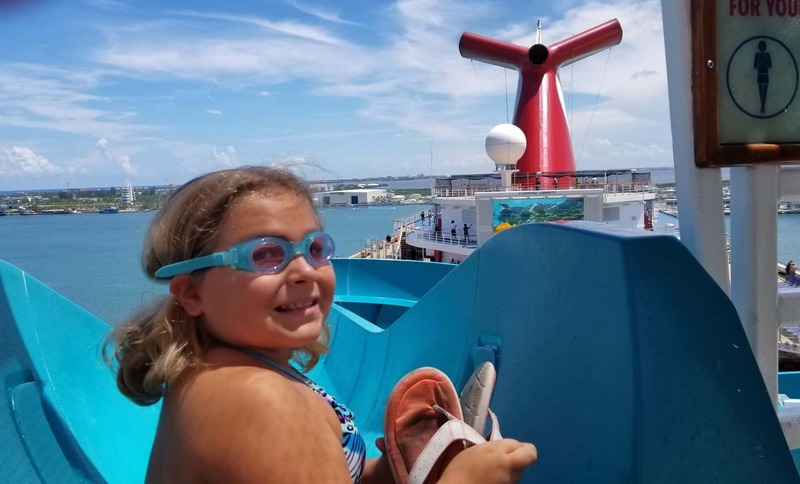 It would take only Two Hours and Eighteen Minutes from our front door to the Park-N-Cruise facility near Port Canaveral. It is a beautiful day outside with lovely blue skies this morning. The drive over from the Sarasota Area to Port Canaveral had very light traffic on this Sunday morning. Note to self, book cruises on Sunday mornings in the future. About halfway we stopped for some last minute items at Target. We wanted to buy some Aloe just in case of any sunburns. The girls also needed some new goggles and donuts for a quick breakfast of course. Back on the road, the excitement was building as we exited off of Interstate 4 and began following the Port Canaveral signs with its Cruise Ship icon. This cruise we had all been waiting for so long was now getting closer. Cruising means different things to each of us. For me, it would be a nice escape from the daily grind of work, a great cruise experience and making memories with my wife and our two girls. Park-N-Cruise, Shuttle Bus waiting area. As we were getting closer, my youngest Daughter began counting down the minutes before the Park-N-Cruise exit. Soon it had arrived, and we took the off ramp and turned, left and then soon another. The signs led us to the Check In. Immediately we were greeted, and our bags unloaded for us. We pushed them over to a waiting area for our ship’s shuttle. I checked in and given tickets for the shuttle over and our return. As I mentioned before, we had purchased the Express Valet service. Our van will be parked for us now, and they will have it waiting for us when we return. The Park-N-Cruise facilities were clean, and everyone was friendly. It was nice to find clean restrooms after the two-hour drive. After only a few moments they began loading our Shuttle Bus. The driver loaded our bags for us and then we got onboard for the quick ride over. You will be expected to tip the driver’s for the loading and to unload the luggage, so expect this. Considering my wife packs enough for a family three times our size, I typically bring extra money for tips. It’s cheaper than the $100 tip I had to pay an Airline in Switzerland for an overweight bag. 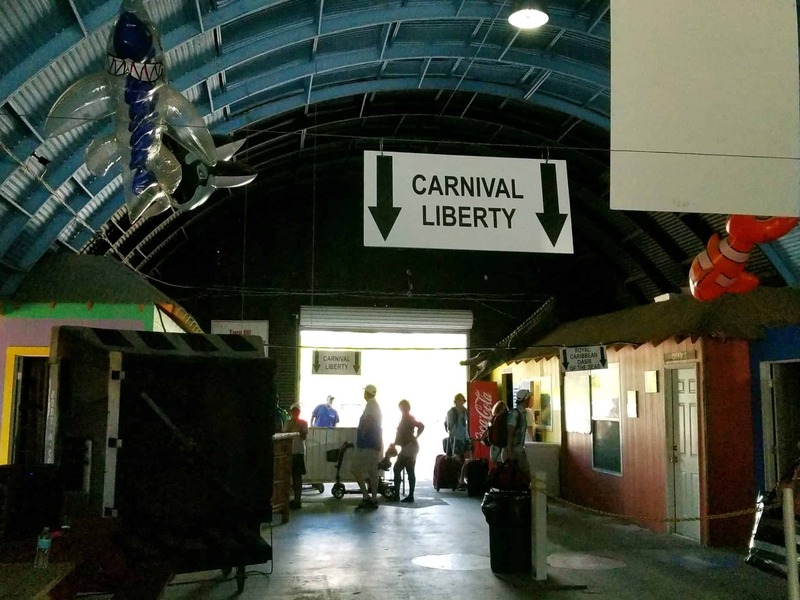 A few minutes later we were pulling up to the cruise terminal, and the Porter’s were unloading our bags and bringing them to the ship. We arrived right before boarding had begun and after a quick check-in and wait we were onboard by 11:30 am. I think this was the fastest we have ever gotten onboard. We had to wait until 1:30 pm for them open the staterooms up. 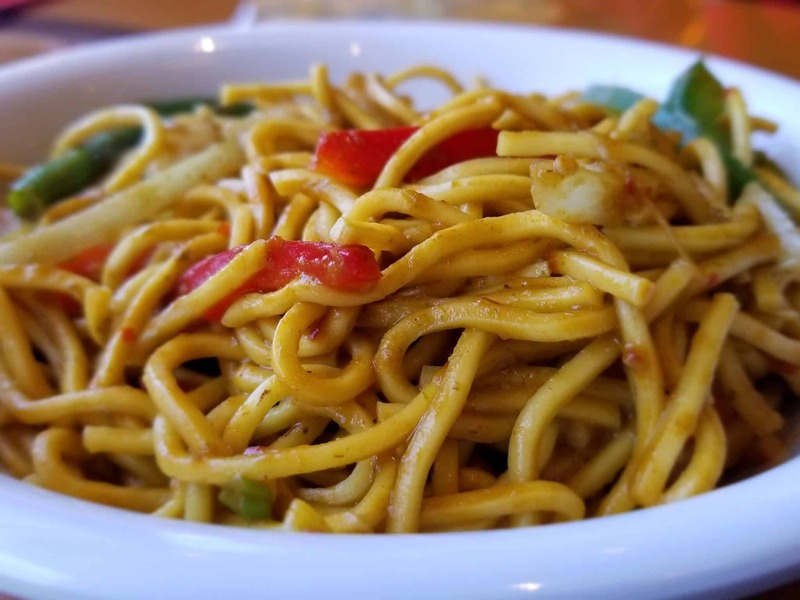 So we went to the Lido Buffet and stopped at the Mongolian Wok. We had a nice relaxing lunch and waited until the staterooms were ready. Our cabin is on Deck Six (6434), and it was a great location to the rear of the ship. It was a short walk to the elevators and stairs. We began unpacking and getting settled in for our cruise. There was plenty of storage for all of our things and my wife separated everyone’s clothes so we could easily find things. Once our luggage was empty, we quickly stowed them under the bed. We do this on all of our cruises, and it saves us a lot of room. Meagan takes her first turn down Carnival Liberty’s slide. By popular demand from the girls, we all changed into our bathing suits and went up to the pool, and our girls repeatedly went down the slide. We found two chairs in the shade, and it would be our go to place the rest of the cruise. Before we boarded, we knew we wanted to eat at Diamond’s Steakhouse onboard. When we boarded, learned if we booked Diamonds Steakhouse we could have our choice of a free bottle of house wine (Merlot or Chardonnay) or 50% off a wine of your choice. So we made a 6:30 pm reservations. Once we arrived for our reservations, they offered us a choice of wine. We chose the Chardonnay which was nice. The food here is fantastic, and we feel it’s a great value for anyone looking for a special meal. My family enjoyed every moment of it. It isn’t easy to choose from the tempting menu but, I finally decided to order the Spiced-Rubbed Prime Ribeye Steak. My Wife chose the Surf and Turf. It was a great way to start off our cruise with fantastic food and service. The girls had Cesar Salad, and they even made it for us tableside. The desserts were out of this world and capped off the evening. We looked at our entertainment options via the Carnival HUB App, which in one word is.. Amazing. We love it and I used it daily. 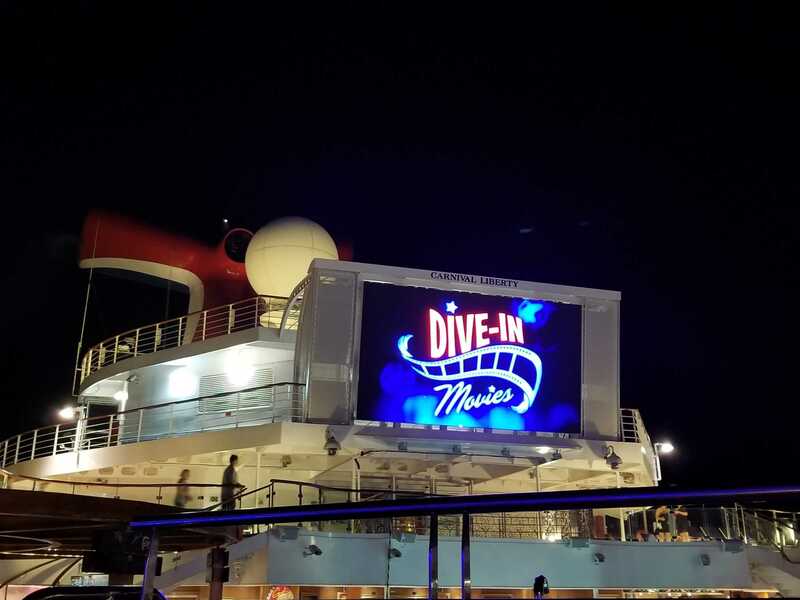 We passed on the Welcome Aboard Show and chose to go to the DIVE-IN MOVIES which was playing the movie SING. My Daughter Meagan loved swimming in the pool while we watched the movie and ate popcorn. Does it get any better than this? 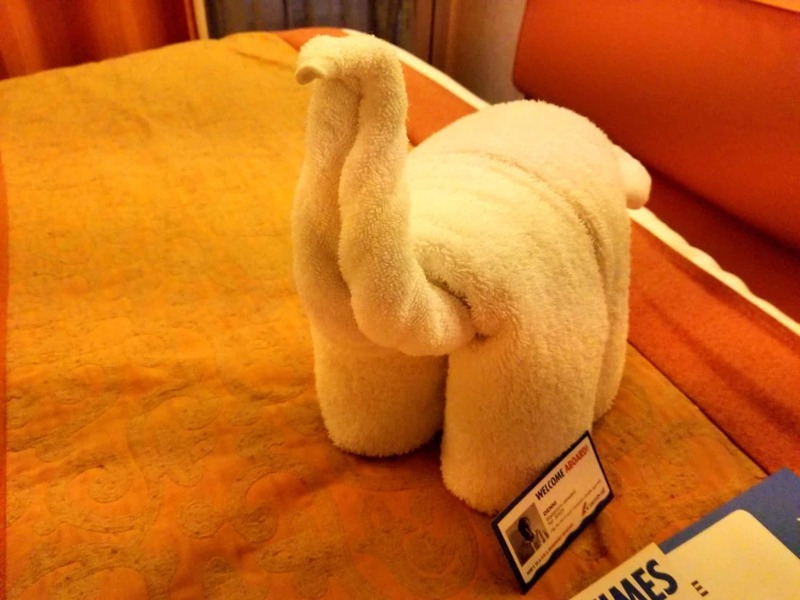 Once the movie was finished we headed back to our stateroom and were greeted by none other than a towel pet. This was another reminder, we were really on a cruise! Tomorrow will be a Sea Day and we are looking forward to a nice day by the pool and ofcourse the many fun games. The girls can’t wait to get back by the pool and more ice cream. This was a great first day and we can’t get over how complete it was. We really got a sense of getting a full day onboard compared to our recent cruises where we had to spend allot of time in lines. Getting on board so fast makes me think purchasing Faster To The Fun is a must do on any future Carnival Cruises. At only $59.95. Per stateroom so this will be a top priority for future cruises.